The removeAttachment() method is used to delete an attachment from PouchDB. You have to pass the document_id, attachment_id and _rev value with this method to delete attachmet. This method also accepts an optional callback function. We have a document in PouchDB with id 002, which contains id, name, age, designation of an employee with attachment. Let's remove the attachment by using removeAttachment() method. You can verify that the attachment is deleted from the document by using read command. You can delete an attachment from a remotely stored server (CouchDB). 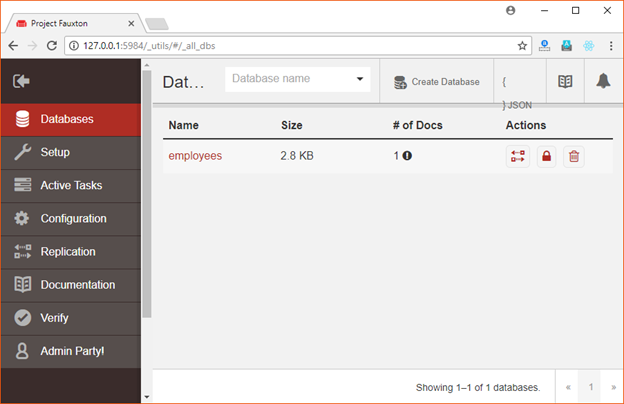 You just have to pass the path to the database in CouchDB, which contains the document that contains the attachment. 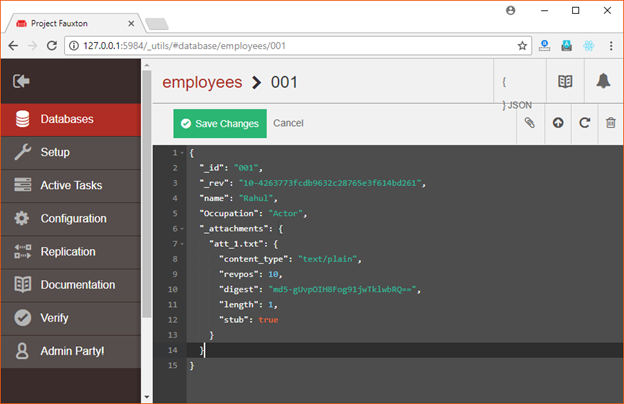 The database "employees" has a document having id "001". Now you can see that the attachment is deleted.